Yangon, Myanmar- U Zaw Moe stands in a windowless white-walled prison cell on the outskirts of Yangon. 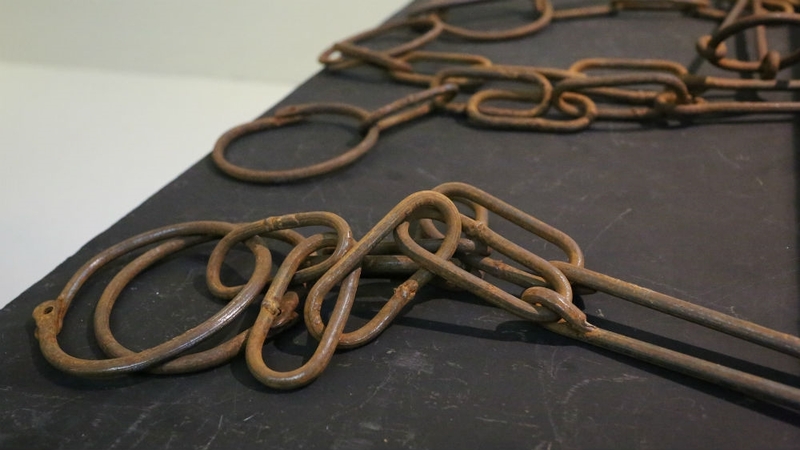 The cell, part of the Assistance Association for Political Prisoners (AAPP) museum, aims to give visitors a sense of the conditions in which Zaw Moe and thousands of others inMyanmarwere held for protesting against the country's decades-long military rule. According to AAPP, which defines a political prisoner as "anyone who is arrested because of their perceived or active involvement or supporting role in political movements with peaceful or resistant means", at least 35 political prisoners have been convicted sinceAung San Suu Kyi's National League for Democracy (NLD) won landmark elections in 2015. 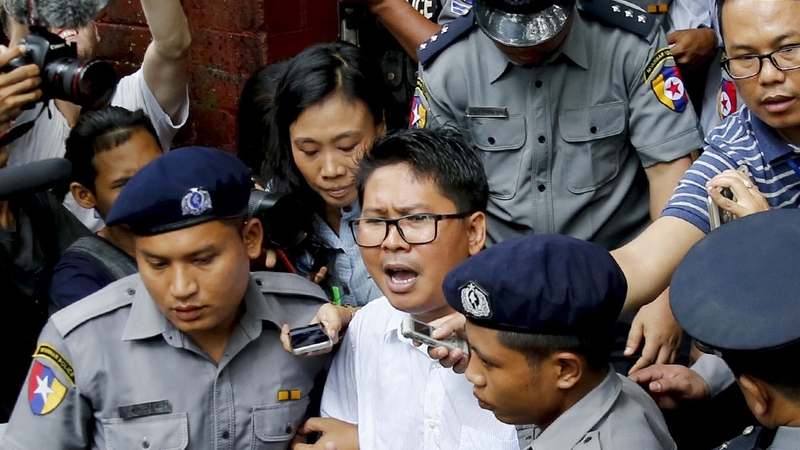 The AAPP says recent cases include Reuters journalistsWa Lone and Kyaw Soe Oo, who were convicted of violating the colonial-era Official Secrets Act while investigating atrocities against the Rohingya and are now serving seven-year jail terms. Others include anti-war protesters, farmers, former child soldiers and land-rights activists, according to the group. And while Myanmar's parliament has repealed or amended several laws that authorities once used to arrest and prosecute civilians for their political views, activists say freedom of expression is stillunder attack. From crimson-robed monks to young students, those who dared to speak out against the government were beaten and arrested by police, and often sent to prison for years-long sentences. Aung San Suu Kyi, then portrayed as an icon of democracy, remained under house arrest for 15 years. 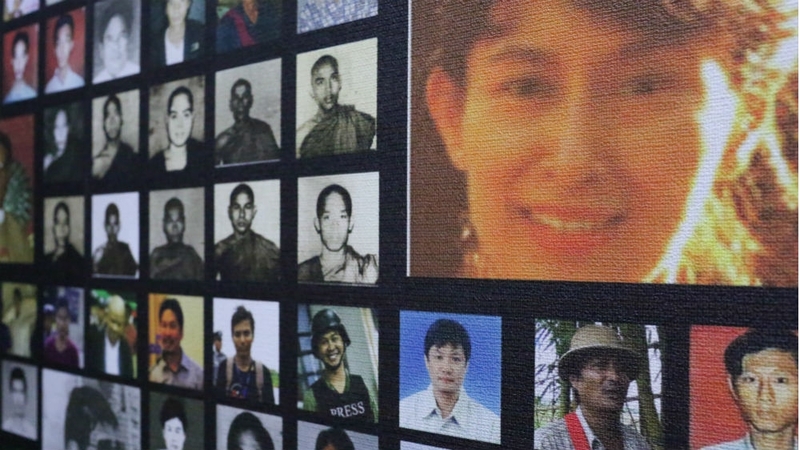 Amnesty International estimatedMyanmar had more than 1,000 political prisoners at one time, calling it "one of the highest of such populations worldwide" but the military consistently denied their existence. When the transitional government under retired general Thein Sein took power in 2012, more than 450 people walked free in a major prisoner amnesty. Activists' hopes for an official recognition for political prisoners were raised further with the formation of a state-led committee "to scrutinise the remaining political prisoners serving their terms in prisons throughout the country so as to grant them liberty". The Committeefor Scrutinizing the Remaining Prisoners of Conscience was even formed, which was reconstitutioned in 2015, faced criticism for excluding the already existing AAPP, while rights groups and activists decried what they said was a failure to make any tangible progress for lasting political prisoner rights. In 2017, a joint public statementreleasedby 22 national and international groups said that it seemed the body was established "merely to deflect growing national and international criticism, rather than to resolve the issue of remaining political prisoners". "Her government, in fact, was composed of many former political prisoners and had considerable authority to make real progress - especially to improve the climate for people to gather freely and peacefully speak their mind." Despite the democratic election, the military maintains considerable power. The Ministry of Home Affairs, which is responsible for prisons, remains under the control of the armed forces. In 2016,the government faced renewed calls to acknowledge and recognise the existence of former political prisoners. But Home Affairs deputy minister Major General Aung Soe claimed that it would be "unsuitable" for the terms to be defined in law, insisting that the constitution prevented any legal definition of the term. Al Jazeera was not able to get comment from theMinistry of Home Affairs. Mid Ka Mid Ah Qaladadii Xulida Wasaradaha Ee Xukuumadii M:Muuse Biixi Oo La Danbarsadey.